The listening devices on these pages are a great way of getting people to explore hearing. By playing with the ambient sound, they create a starting point for talking about sound and hearing. 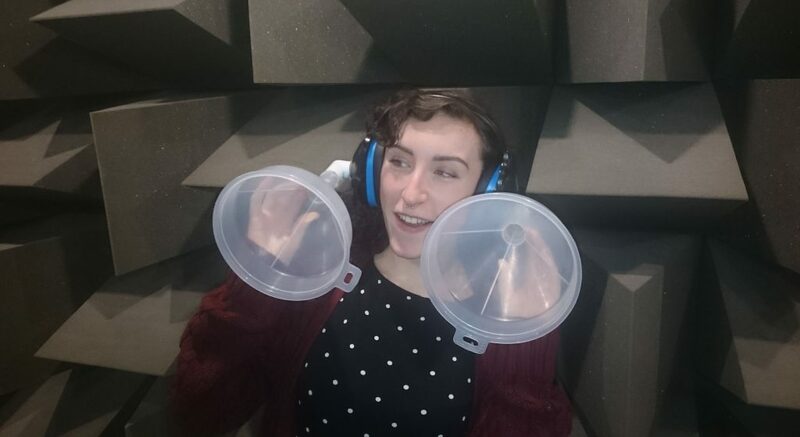 They’re especially useful for science shows and fairs where it’s really noisy and so other acoustic demos are difficult to do. They’re also great for selfies. Click the links to find full instructions for making the devices. They also include videos so you can hear the devices in action. Confusaphone. 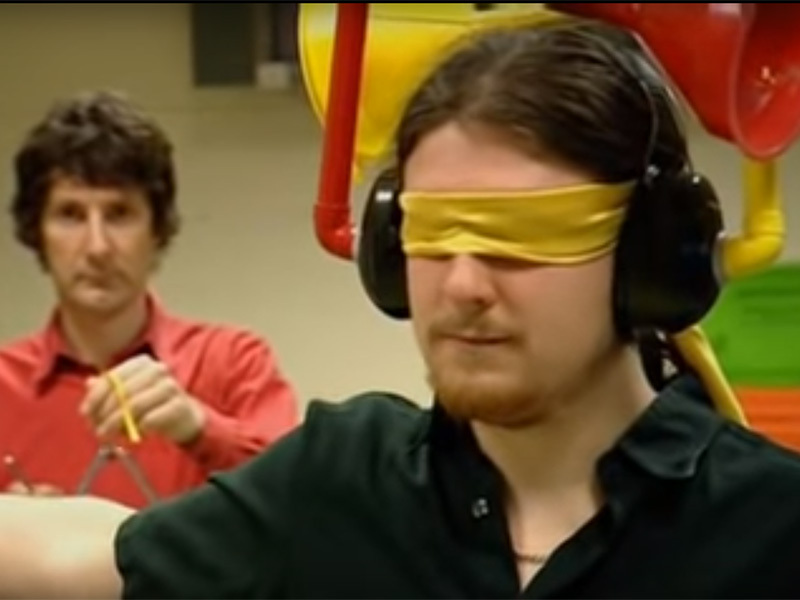 Mucks about with how we localise sounds; includes a lesson starter from Teachers TV. The Sea Shell. These looks unpromising, but the sound through them is amazing. Funnelling sound. Give yourself giant ears to hear better. Swanee Whistle (slide whistle). Play a ‘tune’ with the ambient sound. Musical pipes. Using tone holes to change the sound (like a recorder). You might also want to check out Alex De Little’s designs as well. 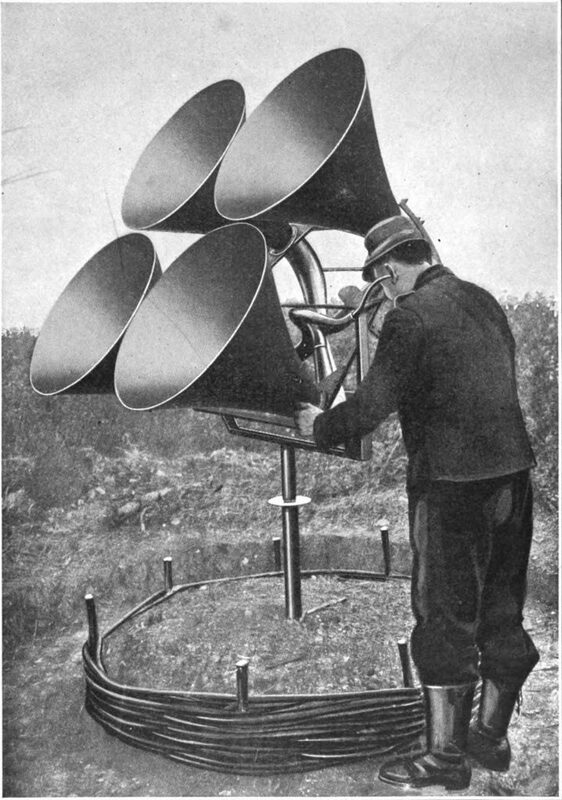 You can also take inspiration from some of the listening devices that the military experimented with early in the 20th century! Make sure people don’t shout into the devices.